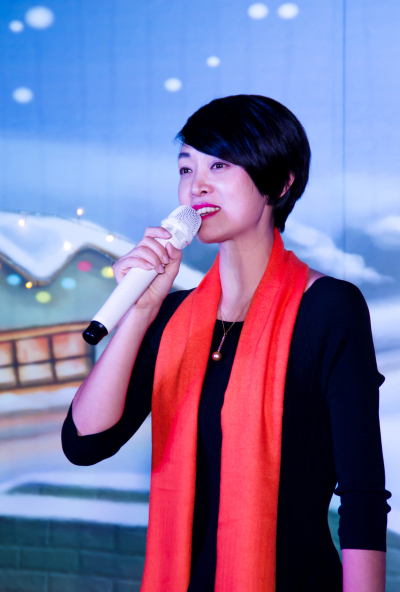 Pan Pacific Tianjin Christmas Tree Lighting Night was held on November 30, 2018. 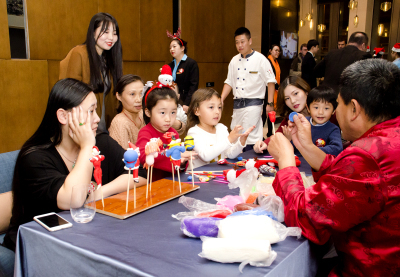 Over 100 participants, from business partners, in-house guests, media specialists gathered at the Hotel Lobby for this special festive event. 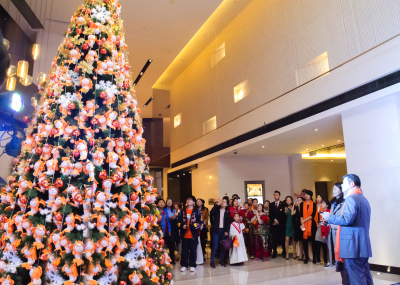 Hotel has the honor to invite “the Prince of Peace Children’s Home”and “Tianjin Dolphin Children Hearing Disabled organization”, to celebrate this special event with us and guests. The lovely children give us a very good performance of dancing and Christmas Choir on the night and all the guests was attracted and moved deeply. POPCH commenced operations in October 2003 and is dedicated to providing care and comfort for children with special needs. 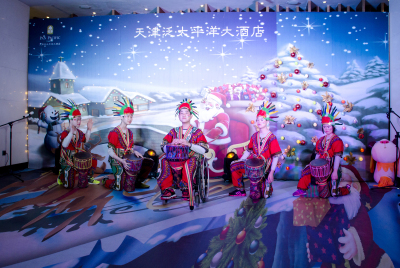 It is home to 144 children from 1 to 13 years of age who suffer from various congenital illnesses such as cerebral palsy, down syndrome and limb deformities, and is managed by World Vision with funding from the Prince of Peace Foundation (POPF) and the Civil Affairs Bureau of Wuqing, Tianjin. 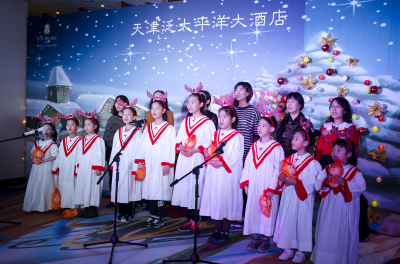 Tianjin Dolphin Children Hearing Disabled choir is an amateur children's choir consisting of hearing impaired children from the city. All the children use cochlear prosthesis and none of them had received any singing training before they joined the choir. 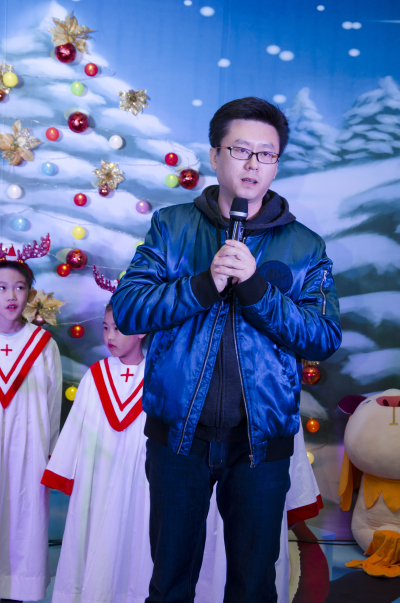 It is manifested that Tianjin Dolphin Children Hearing Disabled choir is the first choir in the world composed of hearing impaired children. Only few years, the child has participate many time international singing competition and even received very good grades. 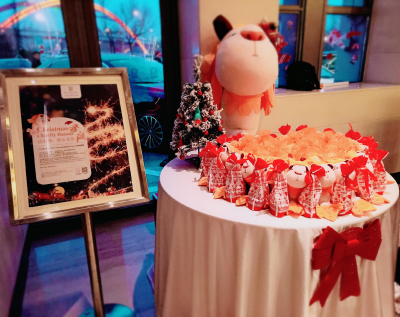 From 30th November to 24th December, Hotel carried out a fund raising exercise, the sale of plush toys of “Pan Merlion” which is the mascot of hotel at Hotel front desk, restaurants and WeChat shop, and all sales income will be donated to “the Prince of Peace Children’s Home” to buy life and school supplies for children. 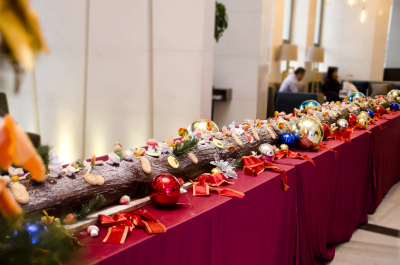 Hotel prepared good foods, drinks, fun games, lucky draws and a six-meter-long Xmas Log cake to be shared by all attendees. 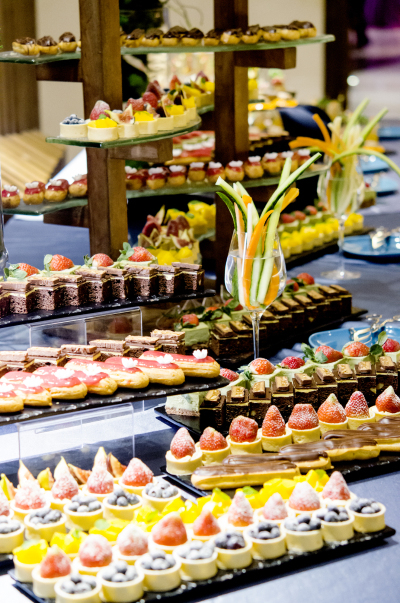 All the guests spent a meaningful and pleasant evening night in Pan Pacific Tianjin.